The process for creating your Smartphone TourApp is easy and painless. Submit a Request Form and download the Guide to AppBuilder. You are also always welcome to call us: (703) 637-6373. Speak with a Spatial Adventures representative to obtain an account on the AppBuilder web portal. We offer a 14-day free trial period during which you can try out AppBuilder to see if it is the right solution for your needs. 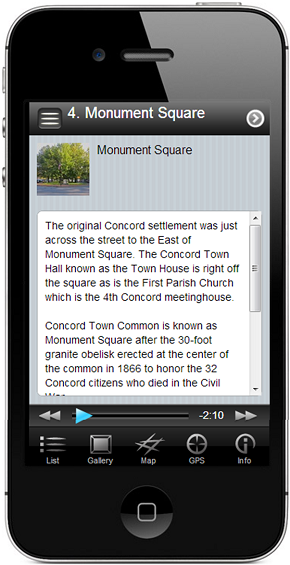 The AppBuilder web-portal provides simple templates for uploading your content [images/photos, audio clips, text and graphical map] to create your compelling Smartphone Tour. AppBuilder requires no knowledge or skill in software development, coding, or app development. The only skills required are filling in web-based forms and creating the images (graphics) and audio files required to capture the story of your tour. There are many ways to record audio including the use of audio recording software on a computer, making the recording on a Smartphone, or having the recording produced at a studio. You simply upload the resulting .mp3 files to AppBuilder. Note: The Guide to AppBuilder provides the dimensions and file formats for your graphics and walks you through the steps for uploading your content. When you have completed entering all of your content Spatial Adventures compiles and releases your branded Smartphone TourApp to the Apple App Store and Google Play online stores. 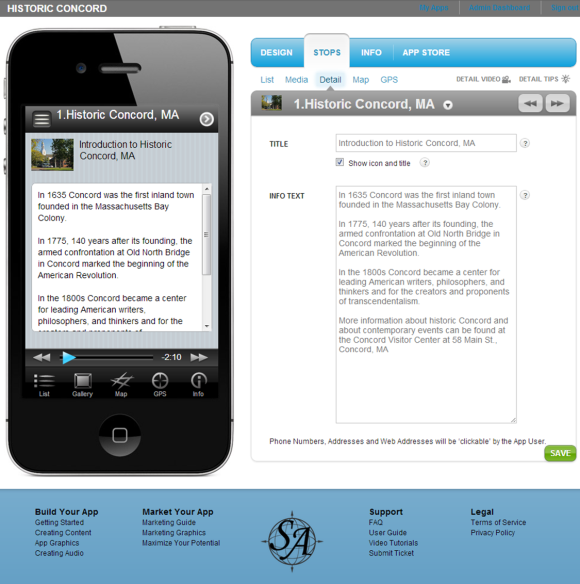 The AppBuilder web-portal allows you to add, change and delete content to always keep your tour fresh and current. Build Your Own Mobile Tour!